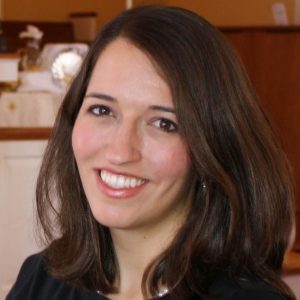 Jessica Miller Kelley is an acquisitions editor at Westminster John Knox Press, where she acquires and develops books in the genres of Christian Living, spirituality, social issues, and spiritual biography. She began her career in the Christian book industry staffing the Cokesbury store in the basement of Vanderbilt Divinity School while finishing her Master of Theological Studies degree. She then spent eight years at Abingdon Press / the United Methodist Publishing House editing books, Circuit Rider magazine, and MinistryMatters.com before joining the WJK team in 2013. After fifteen years in Nashville, she has returned to her hometown of Louisville, Kentucky, where she lives with her husband Matt and three children.